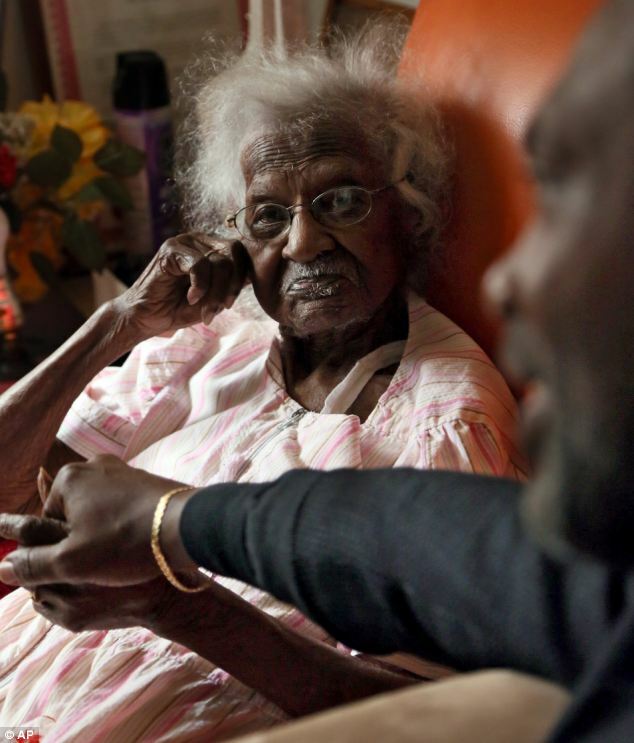 America’s new oldest person has revealed the secrets to her longevity that has seen her make it to 113 years of age. Every morning, Jearlean Talley drinks black coffee with a little sugar, she doesn’t eat cheese because she doesn’t like it and lives by the motto: Treat others the way you want to be treated. Talley was born on May 23, 1899 in Montrose, Georgia, and moved to Inkster, Michigan in 1935. 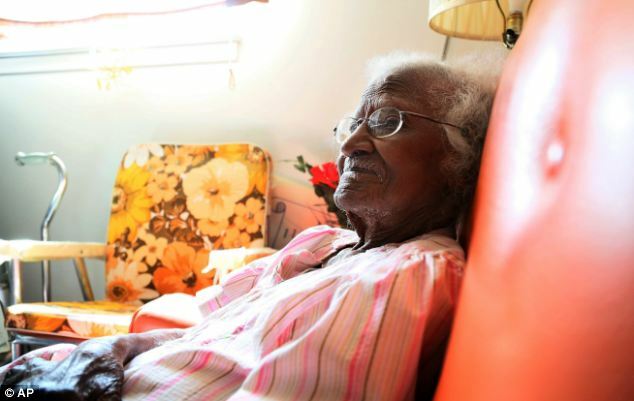 She became the oldest living American after Elsie Thompson of Florida died on March 21. Talley is also the third oldest person in the world behind a Japanese man and woman. 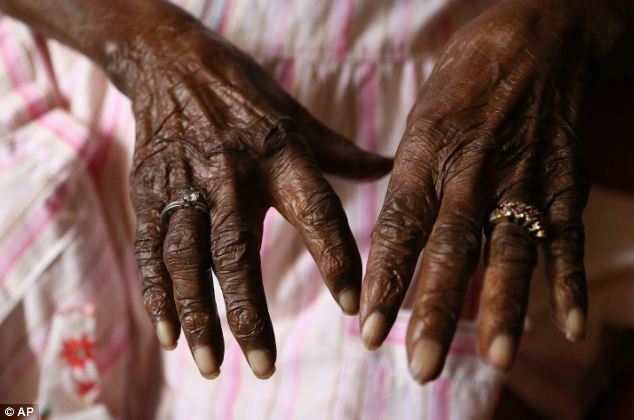 She is also the oldest living black person. When asked why she thinks she has lived so long, Mrs Talley lifted up her arm and pointed to the sky. Only 1 in 5 million people living in the U.S. become a supercentenarian, the term for someone who is 110 or older. The average national life expectancy is 78.7 years. According to experts, people who into their second century do so because they are blessed with good genetics, rather than because of an exercise or diet regime. 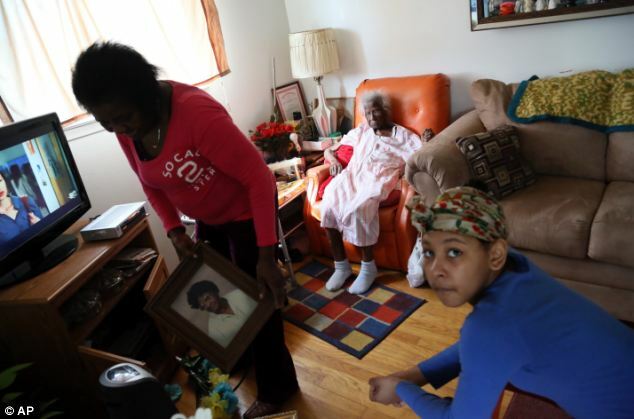 Thelma Holloway, 75, left, pulls out old photographs from under the TV stand, while her mother, Jeralean Talley, 113, and her grandniece Laurane Goodman, 13, look on at their home in Inkster, Mich.
‘Her mind is good,’ confirms her only child, Thelma Holloway, who says that several of Talley’s 11 siblings lived well into their 90s. Talley only gave up her hobby of bowling at 104 and now uses a walker to get around. She still hopes to attend her annual fishing outing in May, weather and good health permitting. ‘Her memory is phenomenal,’ said Michael Kinloch, a friend who accompanies her on the fishing trips. Mrs Talley likes to reminiscence about her life and tells one story of a disagreement with her late husband Alfred, who died in 1988, after she put his car into reverse by mistake and then vowed never to drive again. 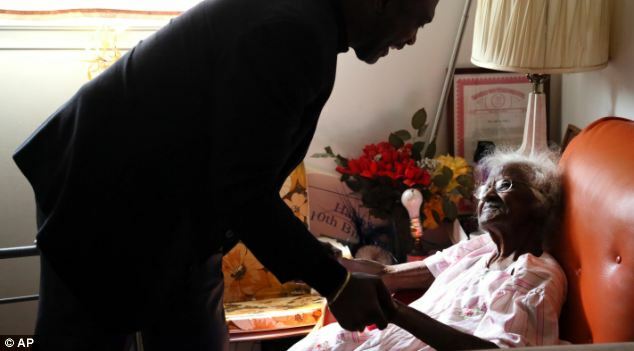 Jeralean Talley, 113, receives visitors in the living room of her home in Inkster, Mich.